Things get absolutely wild in the latest trailer for "Girls Trip"
A new trailer for Queen Latifah and Jada Pinkett Smith’s Girls Trip was released today and we are *loving* it. Forget summer blockbusters, this is the best friends road trip movie we’ve been waiting for. 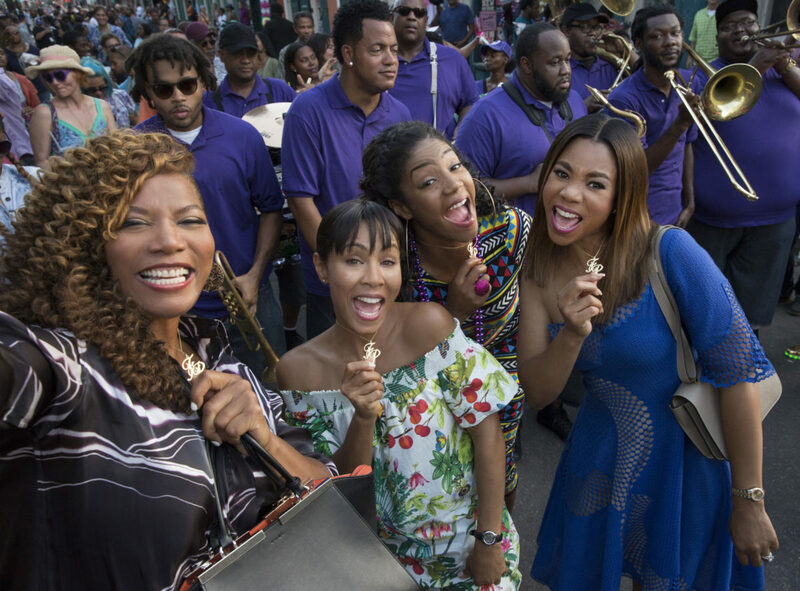 Latifah, Pinkett Smith, Regina Hall, and Tiffany Haddish, star as four best friends who, after drifting apart, reunite for a road trip to New Orleans for the Essence Music Festival. The film, which also costars Kate Walsh, Larenz Tate, and Kofi Siriboe in supporting roles, promises to take us on a wild, absinthe-fueled ride through The Big Easy. We are so ready for this. If the trailer is any indication, this road trip is going to be wild, featuring massive house parties, zip lines, and 200 year old absinthe. Seriously though, we’re so excited to see a film featuring a group of women letting loose on a wild road trip. Having been subjected to a *million* outrageous-but-fun male road trip comedies, it’s so refreshing to see a film about a group of women looking to have a great time and connect with each other, without *too* many personal hang-ups. We cannot wait until July 21st to see it in theaters!